As a licensed contractor, we really appreciated their speed and flexibility. We can order rush jobs and have them cut and delivered the same day. Hybrid Bermuda Grass is a non-pollinating, non-allergenic grass. It is drought tolerant, heat tolerant, and hardy enough for high traffic areas. The fine blades create a soft pleasant feel even for bare feet. There are several varieties of Hybrid Bermuda and each offer a distinct look and feel. Hybrid Bermuda grass requires at least 6 hours a day of sun and mowing at least once a week. 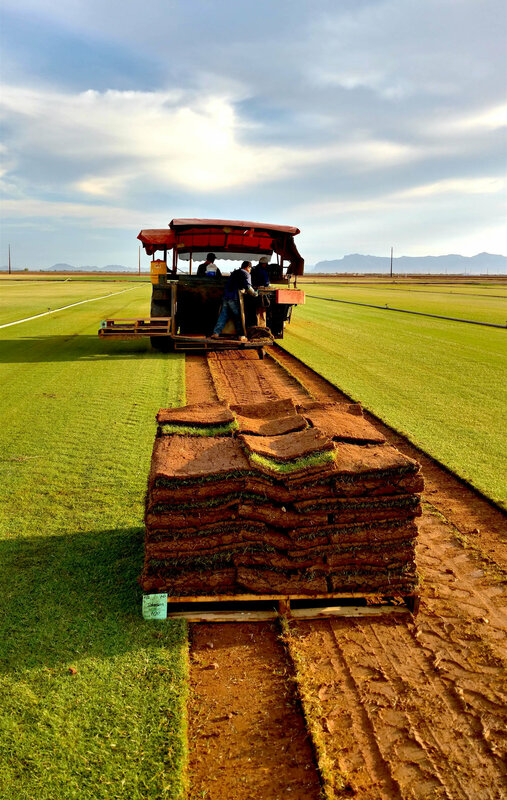 Midiron is a Hybrid Bermuda Grass sometimes called "Easy Turf" for its ease of maintenance, this grass is the best choice for lawns with high traffic areas and for homeowners with pets. This grass will recover faster from pet urine than the other grasses. Its open growth structure makes Midiron ideal for any location.